Students enjoyed NAIDOC Day thanks to the wonderful support of the Indigenous Community Group and representatives from the Gubbi Gubbi Dancers, who organised and ran all of the activities. Under the theme, Because of her, we can! many of the NAIDOC Day activities were led by Aboriginal and Torres Strait Islander women who inspired students by the breadth and depth of their knowledge, openly sharing this with students. 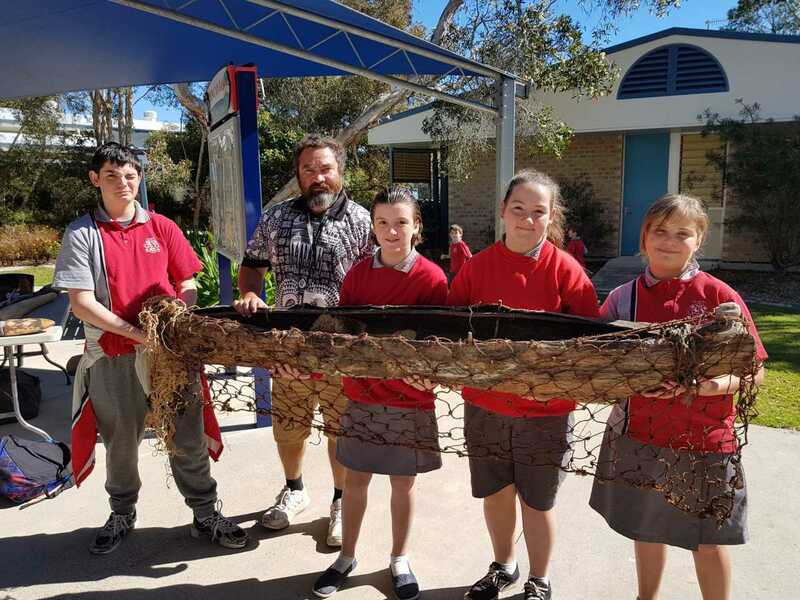 Throughout the day, students learnt about indigenous fishing nets, canoes, tools, food, games, how to throw a boomerang and traditional dance moves. 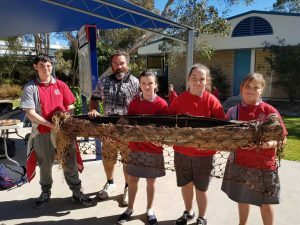 The Indigenous Community Group is an important part of our school community and we greatly appreciate their time and role they play within our school. Fun was had by all at the Tin Can Bay School Acknowledgement Day, held at the end of Term Three to celebrate great attendance and safe, respectful behaviour choices. Laughs were shared while challenging friends in Minute to Win it games, followed by a sausage sizzle. Thank you to all the staff, especially our wonderful teacher aides who helped to run each of the activities. Prep to Year 3 students enjoyed a wonderful athletics inspired ‘Fun Day’ in the glorious sunshine. Sack races, ball games, egg and spoon races and of course, a sausage sizzle were among the fun. Students are super excited about their sprint races, which will be held with the 4-10 Athletics Carnival. A rating for Rainbow Beach water quality!